MUST BE TRANSPORTED ON TRAILER WITH STURDY RAMPS! NEEDED FOR BREAKING NEW GROUND, LARGE BEDS OR ENTIRE YARDS. 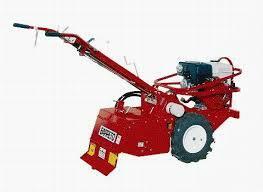 * Please call us for any questions on our tiller large rear tine 9 hp rentals, in Oakdale MN, St. Paul, Woodbury, Maplewood and neighboring communities.